Elderly love to play games that involve fun with little brain work. Brain teasers are fun to solve and can also help keep the mind stay sharp. Human body mechanism is same for the brain and for the rest of the body. It strengthens with regular work out and can atrophy if not used or neglected for a longer period of time. It’s important for the human brains, especially the older one, to use and to challenge continually. It has now been proved through various researches and studies that honing intellectual skills can shore-up the mind in the same way that physical exercise shields and strengthens the body. Have You Tried Brain Aerobics? Leisure activities for the elderly have got a new addition in the modern times. This new additions is known as brain aerobics that targets memory, attention and focus in the elderly for better recollection, faster reaction time and an overall sharper mind. 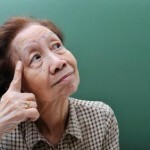 There are variants of brain teasers that can help challenge elderlies wits. It is said that a few sessions of mental exercises consisting of reasoning skills, mental processing and memory staved off cerebral decline in the adults and elderly people. Sharp mental skills can sometimes compensate physical disabilities and this has been proved through various researches. For example, if an elderly in your family is good at maps and can easily figure out directions and find different route without any help would have no trouble being mobile even after imperfect night vision. It used to be a notion that once we reach up to a certain age our brain gets locked for its growth and that structure sustains throughout the life and cannot be changed. However, these notions have no more practical value as scientists have now proved that human brain is dynamic. It continues to change and upgrade reacting with pressure put on it. Wondering on something that could offer exact amount of brain stimulation that is just prefect for your age? You might also want to do some lateral thinking, want to give your brain a little exercise. Well, you may start with a few brain teasers, puzzles and mind benders. Analysis in your group a common difficulty level of a puzzle game as these puzzle games usually are divided on different difficulties and themes and accordingly search on the internet or your nearby shop for a puzzle game of your choice. 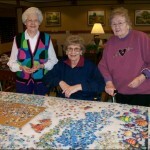 There are various websites that offer games for the elderly including puzzles games and teasers. You may try your luck at these websites. There is a really a long list of brain teasers to give little twist to your brain and to check your mathematic, world knowledge, common sense, logic, and science. You may try your hand in any of them. The good thing about the brain teasers is that you never get bored of it because every time you try with a new game as a previous one (the one you have solved already) is no more a puzzle for you. The Servant’s Wish, The Wisest Son, The Firing Squad – these are the name of a few good brain teasers that I recently tried to check my lateral thinking and patience. You may start with these or anyone you like.